It is a really exciting time to be at Extra Space Storage! We got our start in 1977. Today we are a New York Stock Exchange-traded company leading the self-storage industry in more ways than one. But in order to maintain this lead, we need exceptionally motivated, capable, and driven people like you. We offer a fast-paced collaborative environment where each of us directly contributes to the company’s success. 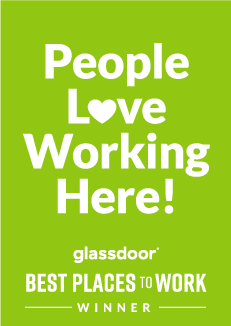 Come join us and find out why so many of our employees recommend us as a great place to work. We are currently hiring for an Internal Auditor for our corporate offices in Salt Lake City, UT. Reporting to the Internal Audit Manager, you will contribute to audit and business advisory engagements including Sarbanes-Oxley 404 Compliance (SOX) and operational audits. Your routine tasks in this role include documenting and evaluating internal controls and preparing internal-audit reports. Successful candidates will be effective communicators with a strong understanding of financial accounting and data analysis. Bachelor’s Degree in Accounting from an accredited college or university and 0-3 years of relevant Accounting or Auditing experience; or a Master’s Degree and 0-2 years of relevant Accounting or Auditing experience. Strong verbal and written communication skills, to effectively present to peers and management.